Samsung flip Smartphone is expected to soon slide. 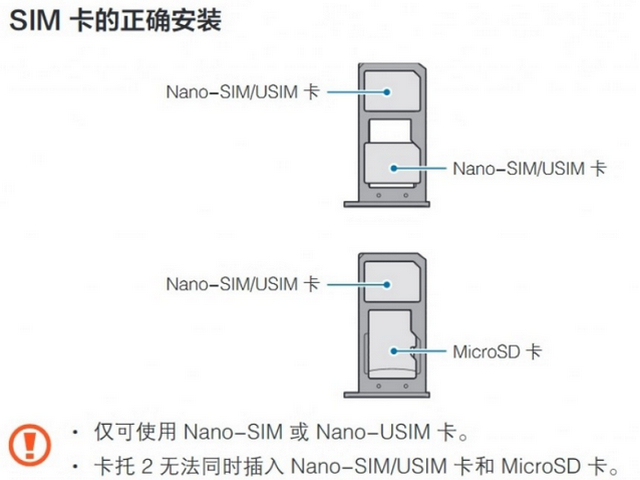 The Android smartphone guide sheets with the SM-G9298 code number are already set up. No doubt, the development of smartphones seemed to make the current era is not free from the internet is fast and also touch screen that maximizes performance. But if you are bored with the design of mobile phones like that-that's it, some of this time, Samsung in the near future immediately answer it. Since the beginning of this year, Samsung reportedly busy working on the successor G9098 and G9198 smartphone , which will be called "Samsung SM-G9298". Samsung still continues to produce mobile phones with clamshell form. The form is certainly still very in demand in some countries. 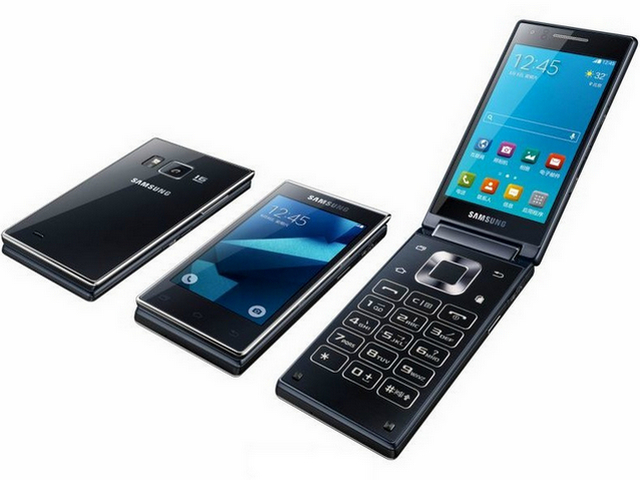 Samsung seems to have also prepared their latest flip phone. The phone is touted as the successor of the G9298. This Samsung mobile phone itself has also stopped at TENAA, as well as the FCC and Wi-Fi Alliance. Now circulated an official user guide related to the smartphone on the official website of Samsung region of China. 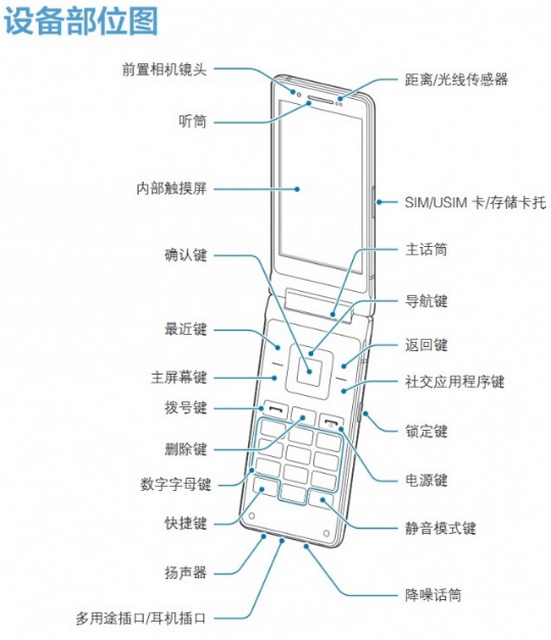 With Chinese language introduction, the user guide clearly mentions a number of the features present in Samsung SM-G9298. 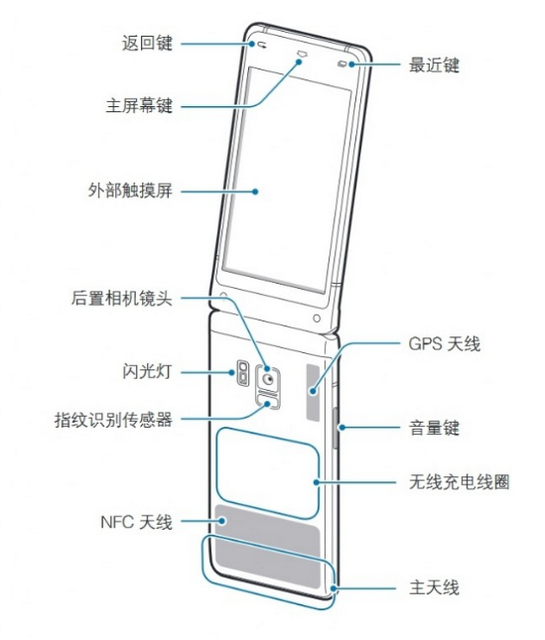 The instructions sheet contains information about the function of the parts that exist on the smartpone. In addition, it also shows the front and rear view. The following leaked features and specifications of the latest Samsung flip Android phone. Samsung SM-G9298 Android Flip Smartphones Features and Specs. Based on the information, there are features S Voice, Samsung Health, Samsung Pay, wireless charging, and NFC that complement this Android flip phone. Samsung SM-G9298 features two Super AMOLED displays measuring 4.2 inches with 1080p resolution, Snapdragon 821 octa-core processor, Adreno 540 GPU, 4GB RAM and 64GB of internal memory. 12 MP rear camera and 5 MP front camera, also complement. One of the features of the smartphone is wireless charging. As for the operating system (OS), SM-G9298 equipped with Android 6.0.1. Even so, you do not get a lot of battery, only 2,300 mAh only. Everything is packed in dimensions 15.9mm thick with weight of 234g which is quite thick, because it adopts the concept of the flip. Unfortunately, there is no information when this smartphone will be released internationally and smartphone price estimation is also not available until now. 0 Response to "Samsung Android Flip Smartphones (SM-G9298) Features and Specs"